On shorter colour print runs, colour digital is the more economical option and still offers a top quality finish. 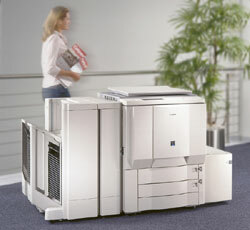 Our newly-installed Canon imagePRESS C1+ printer and copier offers unbeatable quality on print runs for 1-2000 copies. We are usually able to offer same-day service for your print or copying order. Prices start from approx 20p per A4 colour sheet.